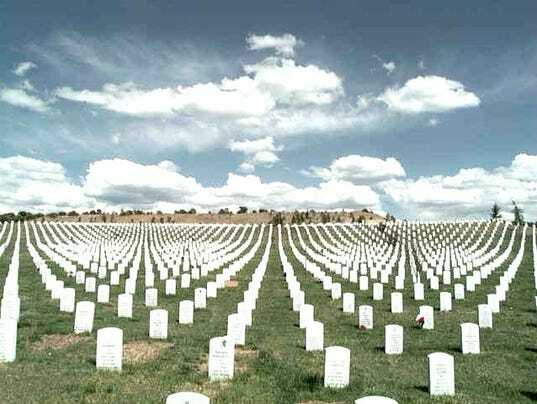 SANTA FE —The unclaimed cremated remains of twenty-two military veterans who, upon their deaths were indigent or went unclaimed by family members, will be laid to rest at a special Forgotten Heroes Funeral at 2:15 p.m. on November 10 at the Santa Fe National Cemetery. The Forgotten Heroes Funeral will feature an Honor Guard, Flag Fold presentation, 21-Rifle Volley, and a bugle rendition of Taps—elements of a military funeral accorded to any honorably discharged veteran buried in New Mexico. The deceased veterans to be laid to rest at this funeral are from Bernalillo, Dona Ana, and Taos counties. The public is invited to help provide this Final Salute for these fallen veterans who have honorably served our country.